Your Wholesale Coffee Connection: Only the Best fresh roast! coffee for growing your business! •	You are already in the bar/restaurant or coffee business and looking for the best fresh-roasted coffee imaginable. •	You not only want a source for great coffee, but an excellent support system in the form of business consultation and training for your staff. •	Or you could be interested in a fantastic new signature blend to set you apart from the competition. •	You own a neighborhood grocery or convenience store and you’ve decided to add a new line of fresh roasted coffee. The bottom line is that since you are here, you must be interested in sourcing excellent coffee for your business. Since the focus of this site is “the world’s best coffee”, then I’ll assume that you would also like to be known for having the best coffee around! Because after all, there is nothing quite like the atmosphere of a great coffee house, but without great coffee…how memorable can it be? Will average coffee bring customers back to your establishment? Won’t your customers be more likely to shout your name from the rooftops if you serve them the best cup of coffee they’ve ever had? Can you get better, cheaper advertising than that? If these questions hit home with you then please read on because our wholesale page is just right for you! The Wholesale Coffee Magic Combination! O.K., O.K., so what’s this magic combination thing all about? Well, all right, I admit it may not really be magic, but the result of following certain criteria certainly can be. You know, like a great recipe. That having been said, here is the “recipe” for sourcing “the world’s best coffee” for your establishments coffee connection! 1)	You must choose a coffee roaster/retailer that starts with the very best quality green coffee beans obtainable. I’m sure you’re aware that all coffee is not created equal or you wouldn’t be reading this site. Right? Wholesale Coffee can only be as good as it’s source. So, you need to find a Coffee Roasting Company that has an excellent green coffee importer. Coffee is defined simply as the seed of the coffee tree, found inside the fruit or cherry. Arabica are high grown (usually 3000 feet and up) with a much wider range of taste and, depending on the handling, are considered to be of much better quality. Good specialty coffee shops use exclusively Arabica beans (You know, the stuff in the fancy valve bag) with the possible exception of the addition of a good Robusta in some espresso blends. So with the above in mind, you see that the world's best coffee is found among the Arabica or high-grown green coffee beans. (Remember Juan Valdez and his little coffee totin burro? How about “Mountain grown coffee; It's the richest kind”) They weren’t kidding around in those old commercials but I think they only had part of the recipe for truly great wholesale coffee. •	The tropical trees shade the delicate coffee plants from the hot afternoon sun. •	They also provide refuge for many delightful birds that happily eat the critters (you know, bugs) that damage coffee plants. •	It, therefore, is unnecessary to spray the trees with insecticide. Oh, yes, and before I forget, the best mountain grown coffee that you can source for wholesale coffee is picked by hand, only upon ripening, one beautiful Arabica coffee cherry at a time! So now we know we’re after the Arabica coffee beans. The next step is to make sure we're getting the best of the high-grown, because the whole point here is to find the world's best wholesale coffee for your business! Right? Seems simple enough? Well, Can you afford to take a break from your business for a couple of years to travel the world and "cup" coffee in hundreds of estates? It does sound like a great time but the point is, a good roasting company purchases green coffee from an outfit that already does all of that, you know, for all of us normal folks! A good coffee importer has special (and very fortunate) people that do this. Imagine, your primary responsibility in life being to travel the world searching out the world's best coffee! Sheesh! These folks travel to literally hundreds of estates in dozens of regions. (Someone has to) They “cup” numerous coffees and choose their favorites. They purchase the best of the best, from the top 2% of strictly Arabica coffees in the world, (See that's what I keep telling you! "The World's Best Wholesale Coffee"!) passing this goodness on to Roasting Companies that concern themselves with the utmost in quality. The Roasting Company then passes this goodness on to you. Can you see how important it is to know the source of your wholesale coffee? Believe me, if you haven’t already experienced this type of quality “in the cup”, when you do, you’ll never look back! Your customers will love you for it and show it by becoming customers for life. One of the benefits of this site is that we will take a close look at the world's best wholesale coffee descriptions from my own experience as a coffee Roastmaster, as well as that of a successful brick-n-mortar coffee-roasting/coffee house owner, and (don’t take our word for it) that of the above highly successful coffee importer who actually goes there and does that. 2)	You must purchase your wholesale coffee fresh-roasted AND whole-bean from a reputable roasting company. Well Folks, I’m gonna start this section by really laying one on you. Some of you know this, but most don’t. This is what most of the “biggy” coffee companies and commercial coffee roasters would rather not talk about. It’s also one of the reasons that the commercial coffee industry is in a steady decline, while the specialty coffee business continues to grow and thrive! The vast majority of coffee (wholesale coffee and otherwise) that can be purchased in grocery stores, convenience stores, and in many specialty stores, and…well, almost anywhere for that matter, IS STALE - TO - VERY STALE! There’s a whole new world waiting for you when you try coffee that is truly fresh and of unquestionable quality. That's why I keep calling it "the world's best wholesale coffee"! Even the coffee you find in bulk bins in grocery stores is usually stale. What do I mean by stale? I mean it was roasted weeks or even months ago. Coffee, once roasted, is quite perishable. In whole bean, the quality diminishes noticeably after 10 days to 2 weeks. If the coffee is ground, forget it, the quality is dramatically lessened in hours and comparatively ruined within a few days. If you haven’t already, you will find that the difference between fresh roasted coffee and stale is truly amazing. The very best fresh roasted wholesale coffee can truly make your coffee business thrive. Don’t trust me; try me! If you follow this recipe for the world's best wholesale coffee faithfully, you’ll see what I mean. • A very smooth roast; in other words, the coffee gets roasted with a nice even heat or temperature, creating a consistent color and over-all quality. • Small batches help to ensure freshness. A good Roastmaster roasts to order. • Is cooled by air. Many coffee roasters use a water quenching method to cool the coffee and stop the roasting process. This is damaging to the quality of coffee, although, some would argue this point. 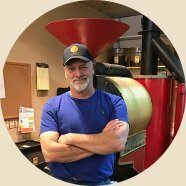 If you wish to get a more complete understanding of the roasting process, please check out my “ "coffee roasting tour” page. Lakota Coffee Company would be happy to assist you! 3)	You must have a working knowledge of coffee so that you can choose the coffees that will be most likely to compliment the specific needs of your business. The more you know about coffees of the world, and your customer base, the easier this will be. You may be shocked to learn that many of the superb choices in our world's best wholesale coffee list-don't start with a C. They come from dozens of countries, and believe it or not, range in taste from similar to dramatically different from one another. Some, you will love immediately and forever, others will grow on you, and yet others are kind of a love-hate thing. Sounds romantic, huh? From the Coffees of the World page, you can access coffee descriptions galore to help you decide which selections of the world's best wholesale coffee will most likely become favorites of yours and your customer base. What? Did I hear you say there’s no such thing? 1)	It must be properly stored. This is an easy one: Because you are going to purchase wholesale coffee of unquestionable quality and freshness, you don’t need to be overly concerned. After all, most of your competitors will start the day with stale coffee. Your wonderful fresh, whole bean, world's best wholesale coffee will probably show up in tightly sealed 4-5 lb. bags. You may want to transfer some of your order to 5-7 lb. display jars or larger display bins (depending on your volume) for your bulk retail coffee sales. Just store the remainder in a cool place out of direct sunlight. The whole idea here is to order often and turn your product as quickly as possible to ensure that freshness and quality are passed on to your customers! Even fresh roasted wholesale coffee should ideally be turned in two weeks or less. Only people with the most discerning palates will be aware of the difference between a few days old to a couple of weeks. 2)	It must be properly ground. You must have an excellent work-horse grinder in your store! A good grinder will ensure a consistently accurate grind for everything from French-press to Turkish grind. If you are selling bulk coffee, you will more than likely have requests for every grind you can imagine. The best commercial grinder makes and models are covered on our coffee-shop-start-up page. NOTE: We do grind coffee for many wholesale accounts that choose not to invest in a grinder. We do this reluctantly and there is an extra charge. It is more labor intensive for us but above all it greatly impacts the quality of the wholesale coffee because it goes stale so quickly after grinding. 3)	It must be properly brewed. Thus far we have learned that you must have a good bean, nay, the best wholesale coffee bean possible! That perfect bean must then be properly roasted and delivered to you "Whole Bean", in timely fashion. It must be stored properly once it is delivered. It must be properly ground. Then, Obi-Juan Valdez, (sorry) it must be properly brewed! Since coffee is 99% water, you are not likely to share the experience of “the perfect cup” with your valued customers if chemical laden tap water is in use so hopefully your business has or will have some type of filter on the water supply. Reverse-osmosis is pricey and removes valuable minerals from the water so a multi-stage carbon filter will best do the trick. NOTE: If you are on a water softener, I have some good news and some bad news. Which would you like first? O.K. O.K. Bad first: Coffee tastes "flat" without the organic minerals present in most water sources. So coffee made with softened water won't have the lively snap you'd expect. O.K. I love this part: The Good News! ; you can STOP using that water, have your friendly neighborhood plumber bypass your softener and install a filter on the water line that leads to your coffee maker and espresso machine, and when you do, you'll be amazed at how much better your coffee really is! No Kidding! Fortunately for most of us in the coffee business, an excellent state-of-the-art coffee brewing apparatus will handle the rest of the equation. Ah, if only that could lead all of us to ultimate coffee bliss. One thing there is no argument over, however, is that coffee turns bitter when it sets on a burner. It cooks. The scrumptious flavor producing tannins burn and vaporize and if you’re not quick to the pot, pardon the expression, you will be most “bitterly” disappointed and most certainly on the road to coffee...well, you know... that burning place. That is altogether the wrong direction. Not to mention, the world's best wholesale coffee that you searched out for it’s incomparable quality is thus ruined. Sad, but this can be remedied and you don’t even need to trash your coffee brewer. This scenario can be entirely remedied by purchasing an inexpensive (or expensive) set of air-pots. They have the kind that pour and they have the kind that pump. These wonderful innovations will hold your stores coffee in a state of suspended perfection for several hours and are ideal for a “self-serve” station if you use one or have plans for one. 4)	It must be properly served. •	The proper grind for your maker is paramount. If you are new, this will more than likely require some experimentation. Just work with the grind, starting with the manufacturers recommendation and adjust to your hearts content until you are happy with your cup! •	Proper water temperature is also very important. Once again, you will have certain manufacturers recommended settings. If your coffee brewer has an adjustment for water temperature, we have found that 205-210 degrees produces the optimum flavor for our coffee. Some coffee companies prefer 190-195. 3. Keep your brewing equipment clean. •	Don’t burn the coffee! If your brewer has burners, don’t fret. Just get a good set of air-pots and make sure that your fresh worlds-best-wholesale coffee gets transferred immediately after brewing. The World's Best Wholesale Coffee ...for indeed......it truly is. WHOLESALE COFFEE! The Very Best Mountain Grown Wholesale Coffees From Around the World, FRESH ROASTED DAILY And Delivered Right to Your Shop!